The name "chloroform" was coined in 1834 by French chemist Jean-Baptiste Dumas [Fr. chloroforme, from chlor- "chlorine" + formique "formic (acid)."]. Dumas also described its chemical composition ( CHCl3 ). 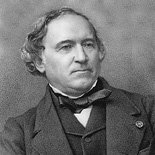 Chloroform was discovered in 1831 by American invenor Samuel Guthrie, and independently in 1832 by Frenchman Eugène Soubeiran and German chemist Justus von Liebig.